Western Pneumatics has 35 years of building low pressure negative systems, and throughout the years they have covered a number of materials. This includes multiple types of wood products, agricultural products, and all types of minerals. 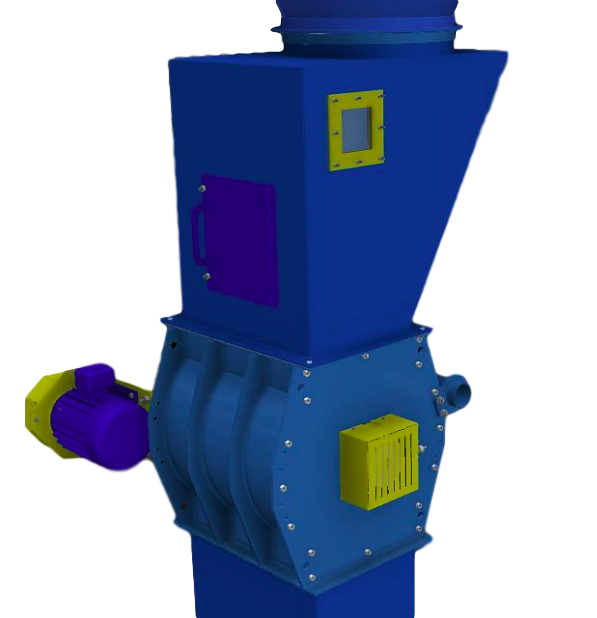 The machine center generates wood waste, low pressure air pulls the dust from the machine center and the air and dust travels to a receiver with an airlock below. The fan is located after the receiver and discharges air to the atmosphere. The machine center is located prior to the receiver and the fan is located after the receiver. 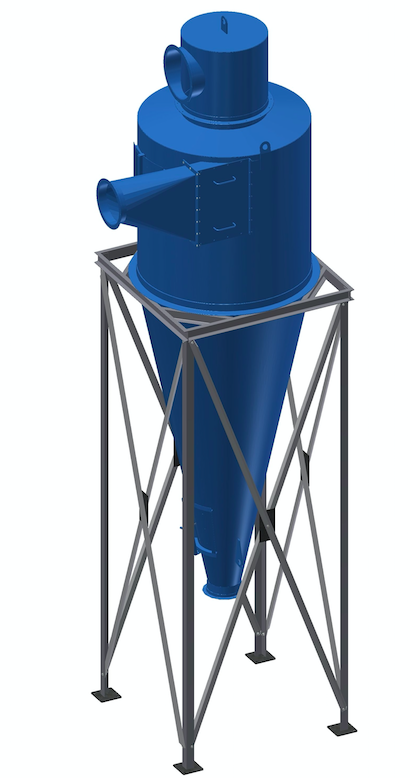 A cyclone or filter is designed to accept air and dust from the low pressure system. The air and dust is pulled to the receiver and with centrifugal force separates the air from the dust. Dust discharges out the bottom and air discharges out the top. 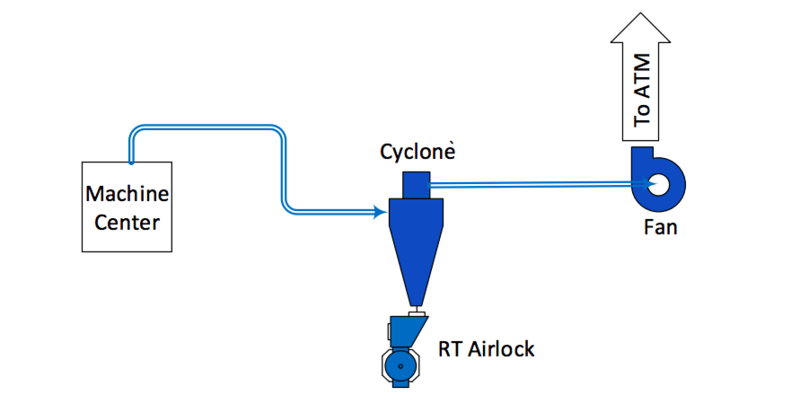 An airlock is placed at the discharge of the receiver, the airlock allows dust to discharge out the bottom of the airlock while air is forced to discharge out the top of the receiver. 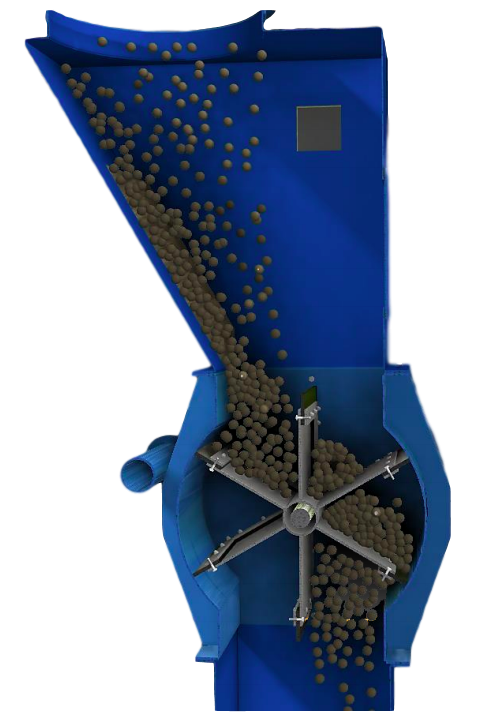 The airlock can have rubber tipped blades or machine tipped steel blades. The airlock is sized to handle a calculated volume of wood with a conservative displacement capacity. 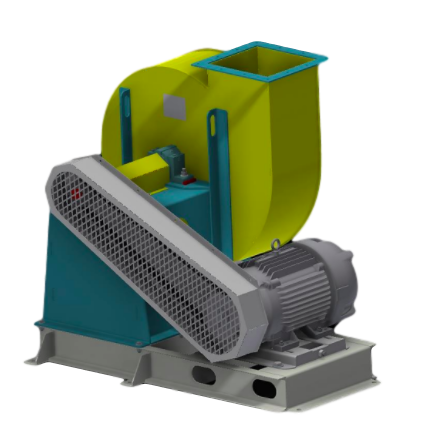 Air and suction are created by a centrifugal fan design. The fan is located after the machine center and receiver making this a negative system. 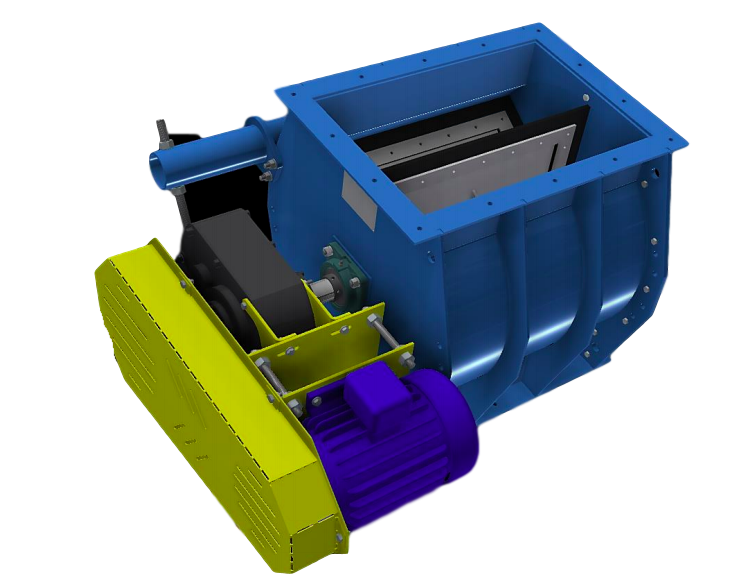 The fan can be designed for light dust handling or clean air and a more efficient fan wheel can be utilized. The fan discharges air to the atmosphere.